Just as a disclaimer, this isn’t an official licensed NFL product, so the “real players” above refer to your fellow mobile gamers – there’s no Aaron Rodgers, DeMarco Murray, or Tom Brady in this game. 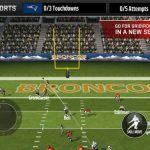 But what there is, is a lot of fun, and a lot of success as well if you follow this Boom Boom Football strategy guide and refer to it whenever you need some help with the game. 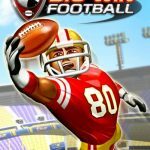 In terms of mechanics, Boom Boom Football is a card battle game; there are six head-to-head matchups between a player on your team and a player from your opponent’s team. That also means you’ll have to be aware of how your players are rated and how they compare to the competition. The power rating is the most important figure; you’ll find this in the upper right corner of your cards. If your power rating beats that of your opponent’s, you win, and if it’s lower, chances are you’re going to lose your matchup. 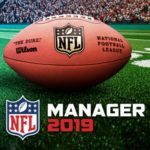 This may require taking some time to figure out which players go against which players, but if you want to make things easier on yourself, you can press on Auto and let the game’s AI do it all for you. Still, that AI often isn’t that sophisticated, so you may only want to use this in a battle you’re confident of winning. This isn’t a football game where you know what you’re up against and, for example, can foresee an easy matchup against a mediocre quarterback who’s still “on the bench.” In here, you wouldn’t be able to see your opponent’s cards aside from the one that’s already highlighted and ready for the matchup. With that in mind, we suggest using players who have the smallest edge over the opponent’s player, so that way you can save your stronger cards for the other matchups remaining. The game will tell you when you’ll be on offense and when you’ll be on defense. Always, always take note of this order. For example, if you’re down by a touchdown after the fourth matchup and will have your last chance on offense in the fifth, the best you can hope for is to win in overtime. It’s a basic rule of football, but just so everybody knows, touchdowns are almost always scored on offense, and there are no instances where you can return an interception or a fumble for a touchdown in this particular game. When you’ve got a matchup, there will be a tapping mechanic involved. You’ll have three target choices – a large yellow circle that stays for the longest, a medium-sized blue circle that stays a bit shorter, and a small purple circle that disappears quickly. You want to tap on the purple target; if you’re able to tap on this tiny circle, you’ll get a bonus that may give you a better chance to win the matchup. The yellow one doesn’t give you any sort of boost, instead allowing the matchup to go purely based on numbers, while the blue one only gives you a tiny boost. Tapping on the purple target is especially important if you see that your opponent has a power rating advantage over you. If you’ve got a comfortable edge, then tap on the yellow circle – it’s so easy to do anyway. In do-or-die situations, it’s suggested that you tap on blue or purple even if you’ve got a clear advantage. But take note that if you miss the target, that’s an automatic loss for you. 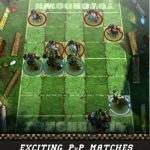 There are three game modes in Boom Boom Football, starting out with the main campaign mode; Boom Boom Bowls are the pinnacle of them all, where you take on progressively stronger teams. If you beat all five teams in the Bowl, you win a trophy and get some nice freebies, and also get to unlock the next ladder. Daily Trophy Mode is a ten-game series, where you play the games over 12 hours and strive to finish the series with the best record. You can be rewarded if you finish in the top three. Lastly, Limited Time Events pit you against random opponents over a given period of time. These cost you a whopping two tickets a game, and you earn five points for a win, three for a tie, and one single point for losing. If you perform well, you can win new players, more bucks, and/or more gold. If you want to have a better team at your disposal, you’ve got several options. You can buy new players or win them, but you can also boost them or level them up through some vintage card battle mechanics. That means sacrificing some of your cards and spending some in-game money to improve the value of your target cards. Evolving, just like in your typical card battler, requires having two of the same player cards; you’ll have to spend some bucks (the in-game currency) in order to do this. While the power rating improvement is usually quite modest, the maximum level does increase. There is a caveat, and that’s evolved players requiring more cards to boost.